The roof of your home or building is among the key defense mechanisms against the effects of unfavorable weather and environmental conditions. Considering this, it is constantly exposed to a series of abuses from, rain, sunlight, strong winds, falling tree branches among others. Even if the roof is accorded proper maintenance, it will sooner or later begin to show signs of wear and tear. Whenever any of these threats are experienced, it is always recommended that you seek immediate and professional roof repair solutions. At Waterproofing Singapore, we are the roof repair experts that you can always count on to fix your roof right in case of a problem. Our company offers a wide range of roof repair services for all kinds of roofs used in residential and commercial buildings. We have a team of roof specialists and suitable tools to make sure that all the problems on your roof are effectively solved. While conducting roof repair, we focus on providing lasting solutions so that you are never faced with similar hitches in the future. Generally, there are various kinds of problems that can be encountered on the roof. And, these hitches can either affect parts or the entire roof. Therefore, we have a comprehensive roof repair portfolio that caters for all kinds of roofing problems regardless of the extent of damage. We are committed to making sure that every client who come to us for roof repair are able to get custom solutions to all their needs. Since there are various forms of roof damage, we always perform roof inspection to determine all the problems encountered, affected areas and extent of damage. 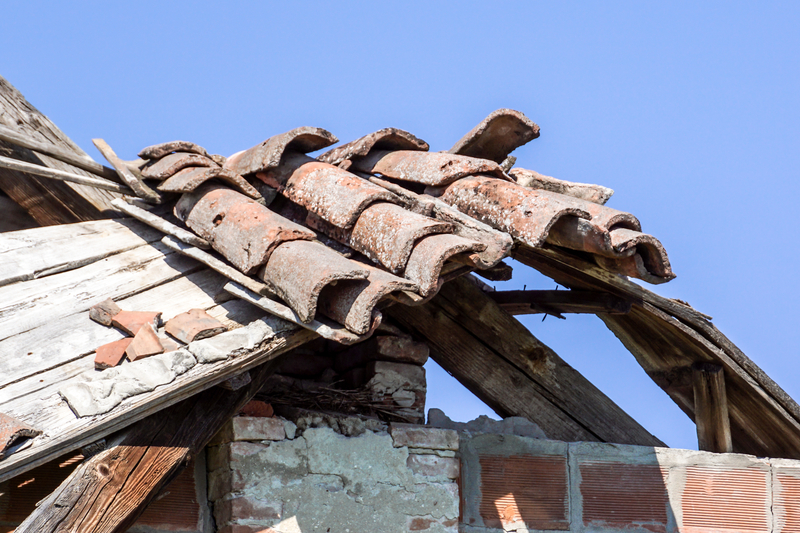 Even though the signs of damage could be clearly evident on the roof, we will still need to perform the inspection for a proper and accurate diagnosis. It is only after the inspection that we will be able to determine the most suitable repair approaches. We provide free roof inspection services, which will be accompanied by an accurate estimate for all the repair procedures to be conducted. With the free roof repair estimate, you will be able to easily plan for the services at your convenience. After receiving the estimate, you may even find out that the repairs are not as costly as you thought. In order to avoid financial strain on our customers, we can always prepare an estimate that perfectly suits your budget. This is one of the most common types of roof damage experienced in most homes and commercial buildings. Leaking roofs can result from poor roof installation, storms among other elements. If leaks are not properly sealed off on time, they can cause quick tear and wear of the roof, putting the structure at greater risk of deterioration. Roof leaks can also cause damage to your items in the building. For peace of mind, we have the best waterproof materials and membrane system to properly seal off all leaks and preserve the roof in the best condition over time. In case you have a shingled roof, it is usually expected that the shingles will sooner or later become loose. In some cases, the shingles could even break. This mainly occurs as a result of poor weather conditions characterized by strong winds and too much rainfall. For loose shingles, we will properly adjust them to ensure the roof is tightly held in position. In case some shingles are broken, we can apply suitable repair techniques. If the damage is beyond repair, you may have to get new shingles for replacement. Flashing works as a sealant used to cover specific areas along the roof. In case the flashing is loose or damaged, water from the roof can easily seep into the roofing components and ceiling, causing damage. In case your roof is experiencing flashing problems, we can also offer effective repair solutions to restore its functionality. At Waterproofing Singapore, we can also provide roof repair services for several other problems not listed above. Our experts have a better understanding of all the common and complex roofing issues. Thus, there is always a guarantee that all your needs will be met. Even if the problem might look simple, do not attempt working on it independently since that could only make things worse. Since roofing problems usually vary from one structure to another, we always take a unique approach in every repair procedure. After the inspection, we will discuss with you thee most appropriate roof repair solutions for the particular issues faced. In fact, we can even go out of our way to find and use special roofing materials that you may need for the repairs. For convenience, we always respond to clients on short notice. In all our roof repair projects, we make sure that the work is done to standard and, also within the given deadlines. Relying on us for roof repair also comes with a guarantee of greater affordability. We understand the financial burden that is usually experienced in roof repair and, have a fair pricing strategy to spare you all the stress. With us, you can always get quality workmanship at affordable rates that perfectly complement your budget. Even if you may need roof waterproofing services, we can still provide custom solutions for your budget. For the ultimate roof repair solutions Singapore, do not hesitate to get in touch with us.